© 2013 Jim Levinson Photo. 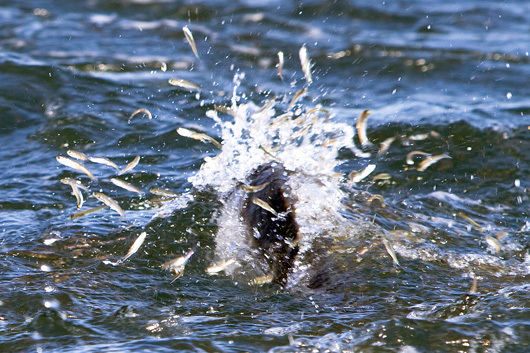 Under this conservative management approach, the commercial harvest and sale of wild striped bass would be strictly prohibited everywhere on the Atlantic coast. 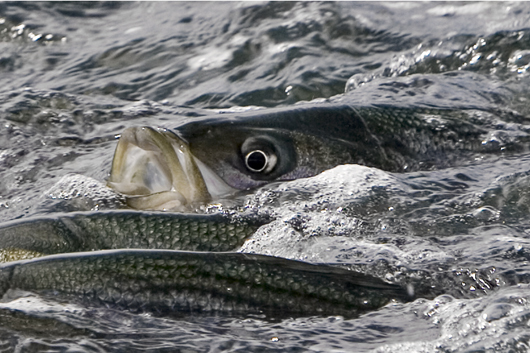 To further reduce striper mortality, the coastal recreational harvest would be carefully regulated to protect the population of large breeder fish and to promote and enforce the use of angling gear and techniques that do not unnecessarily damage stripers that are caught and then released. The adoption of statutes or regulations that will end the commercial taking of striped bass everywhere on the Eastern Seaboard. Improve natural age and size distribution to reflect an un-fished striper population as closely as possible. Further define and overcome the impact of mycobacteriosis on stripers and humans as part of the fisheries management process. End the over-harvesting of striped bass forage species and protect the essential ecosystem for striper survival. Reduce the by-catch mortality of striped bass occurring in commercial fisheries directed at other species.